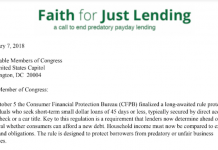 WASHINGTON (BP) — The Southern Baptist Convention’s ethics entity and other members of a diverse religious coalition have urged the federal government to strengthen a proposed rule to regulate the predatory lending industry. 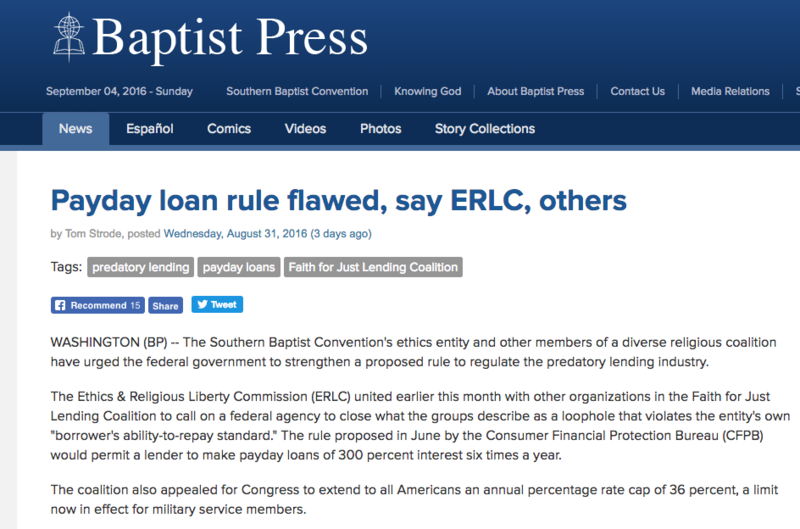 The Ethics & Religious Liberty Commission (ERLC) united earlier this month with other organizations in the Faith for Just Lending Coalition to call on a federal agency to close what the groups describe as a loophole that violates the entity’s own “borrower’s ability-to-repay standard.” The rule proposed in June by the Consumer Financial Protection Bureau (CFPB) would permit a lender to make payday loans of 300 percent interest six times a year. The coalition also appealed for Congress to extend to all Americans an annual percentage rate cap of 36 percent, a limit now in effect for military service members. 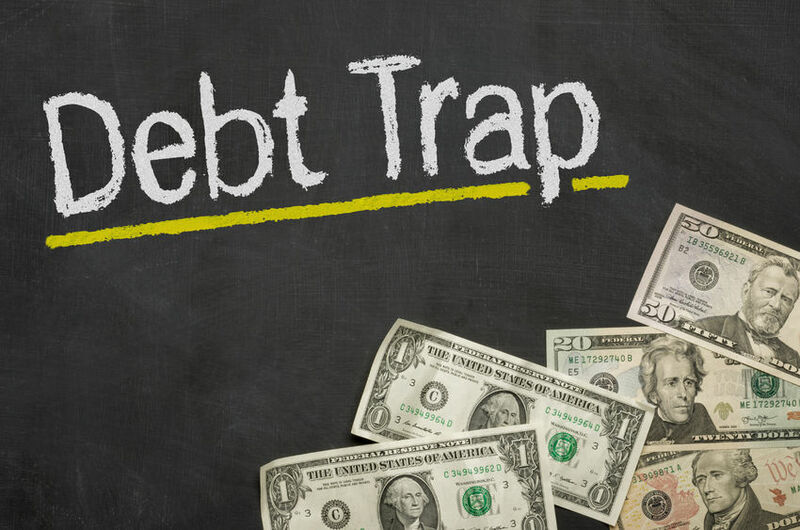 Payday lending, as it is commonly known, often draws poor people into a debt trap by charging exorbitant, and often misleading, interest rates. For instance, though an interest rate may be portrayed by a lender as 15 percent, it actually is only for a two-week period until a person’s next payday. The annual interest rate in payday lending typically is about 400 percent, making it extremely difficult for a borrower to repay the loan.